Commonly called White Birch, this tree was planted in 1936 and is now the PA State Champion! With a circumference of 99” (8 ft. 3 in.) 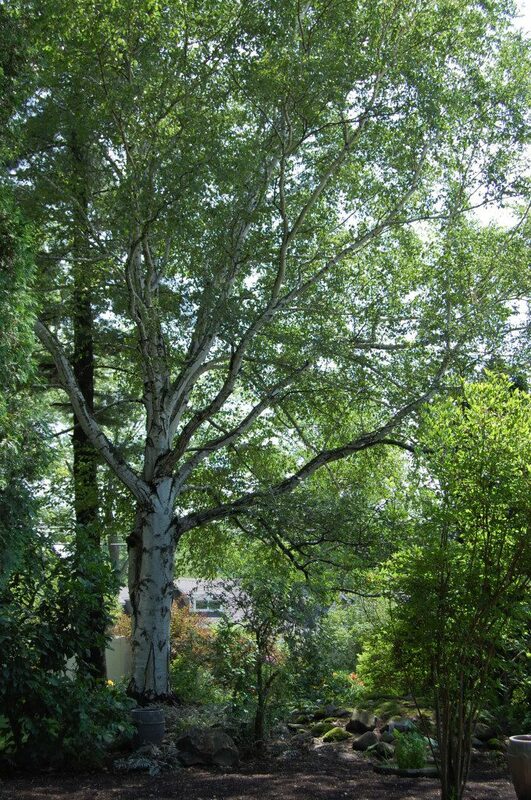 and a height of 82 feet, this tree is the largest Paper Birch in our state. Commonly found in Canada and New England (Zone 3), this tree thrives here, at its Southern limit in Zone 5, due to the glacial till soil and good hydrology which keep the tree’s roots moist through the hot summer months. This tree is registered with Big Trees of Pennsylvania, which can be viewed here.